A night at the Proms — Christina Made It. Anyone thinking of going to the proms, you should. It's so much fun and a chance to feel exceptionally British. We manged to get ourselves some free tickets courtesy of my brother who was working on on of the promotional stands at the event. The event was held in the grounds of Blenheim Palace. Such a beautiful backdrop and once owned by Sir Winston Churchill, it doesn't get more British than that. The Battle Proms signature piece is Beethoven's Battle Symphony which finishes with 200 live replica Napoleon cannons (apparently the music was always intended to have 193 live cannons) which is where the Battle Proms gets it's name from. We managed to turn up to the proms without any union jag flags (error). Luckily there were plenty on sale so we still got to wave the British flag. We watched the pass over from the Grace Spitfire which gracefully looped the loop right above our heads, for a very, very close encounter with the aircraft. 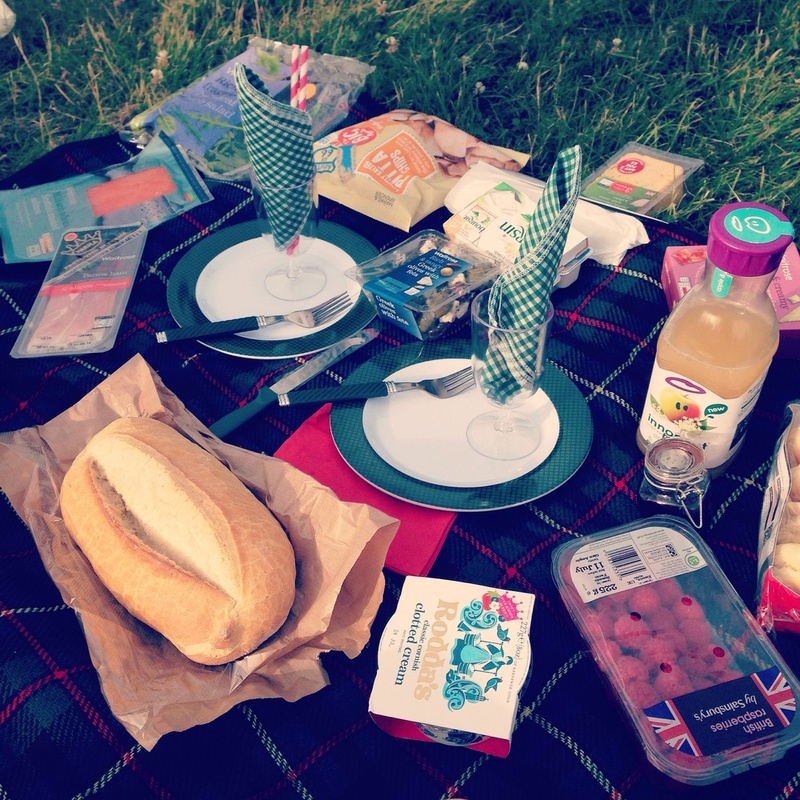 We packed ourselves a kind of French/British picnic with crusty bread, a variety of cheeses, Salmon, quiche, strawberries and not forgetting the essential English scones. 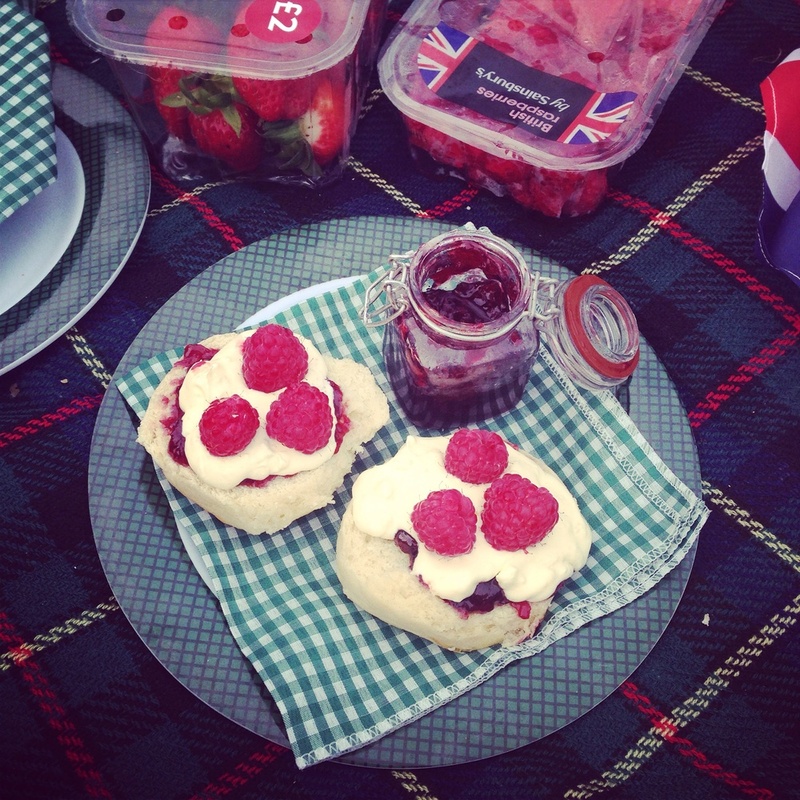 These tasted so good, we used cherry jam and clotted cream topped with raspberries - yum. 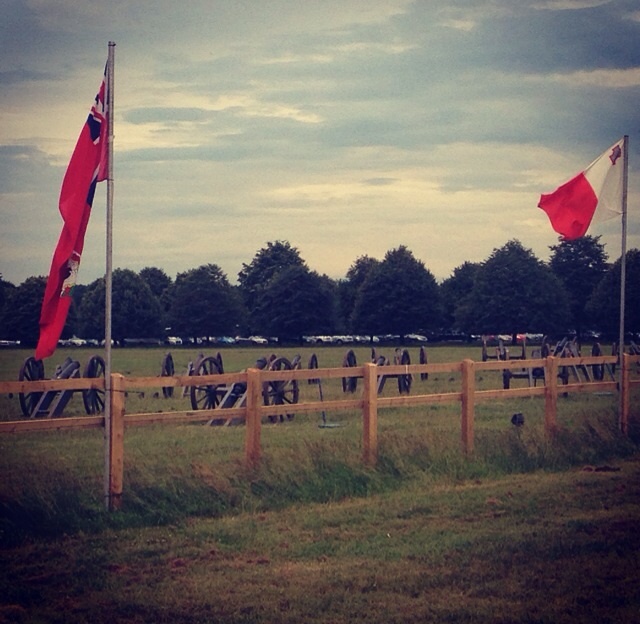 The cannons even fired with colour coordinating gun powder to match the theme of the evening. The English orchestra were incredible, I realised I knew a lot more of the music that I thought I was going to, I couldn't tell you what they were called but I definitely recognised them. Obviously no proms are complete without the fireworks, which along with the cannon fire made it pretty spectatacular. 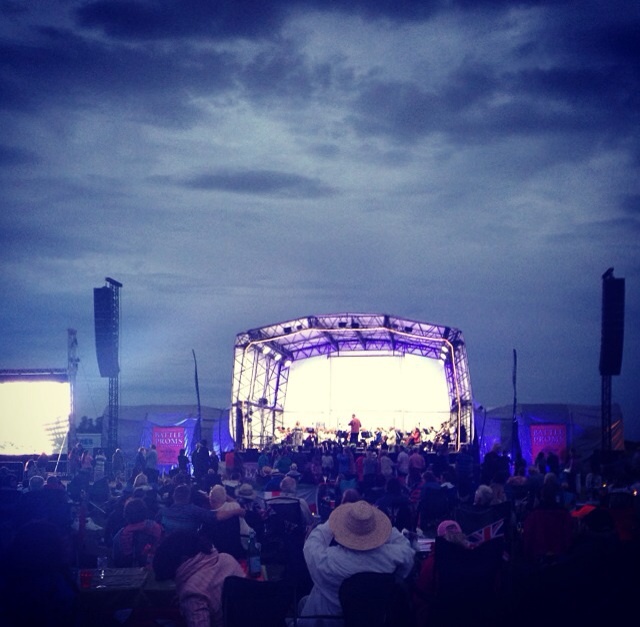 You really can't beat having a fireworks display accompanied by a full orchestra. My favourite piece from the whole evening had to be the sailors hornhipe. It's such a happy song! 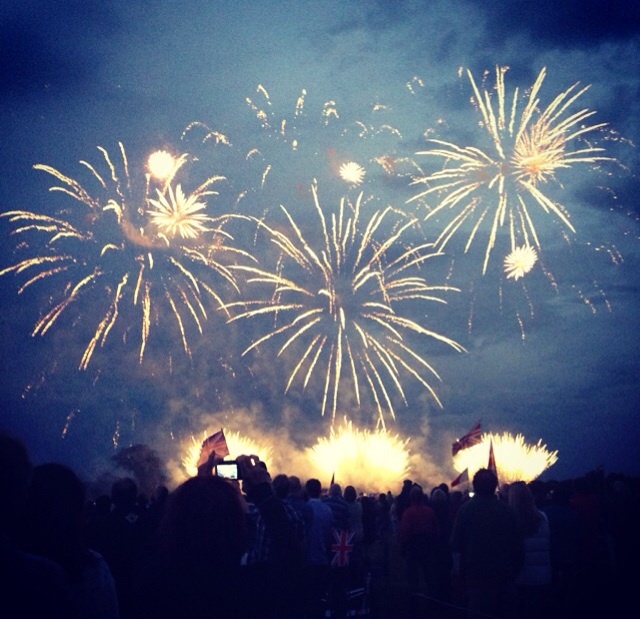 I leave you of course, with the iconic finishing piece; Land of Hope and Glory with it's firework finale. I'm ashamed to say I didn't know any of the words, or to Rule Britannia or to Jerusalem... I'll definitely be learning them for next year though!